Do you operate a photogenic business? Love to show off your products, venue, menu items, or other features with photography? Quirky Borders is the perfect postcard design template to customize for your own direct-mail marketing campaign. The front features four large photos in varying sizes, each surrounded by a quirky two-toned border, over a solid pastel background. 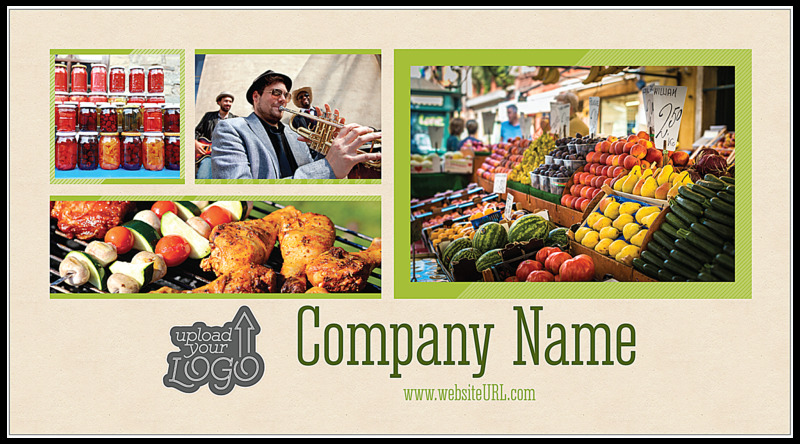 Your company name, logo, and website URL are also prominently displayed. 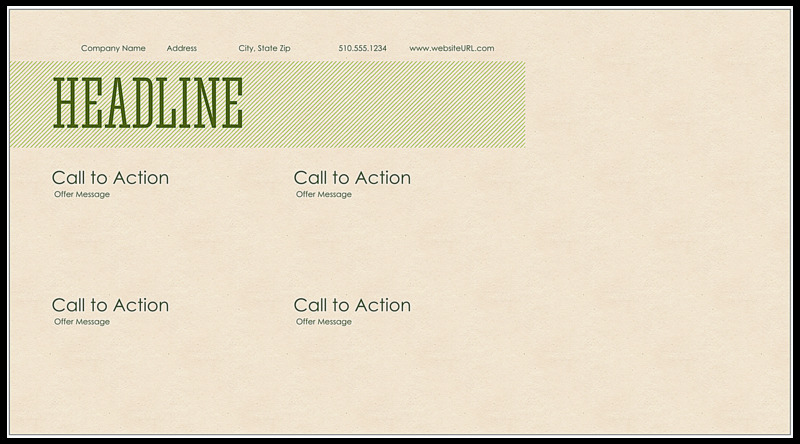 On the back, your custom headline commands attention within a bold background box. Underneath, you can add up to four benefits to create customer desire. Available in both vertical and horizontal layouts with your choice of four different color schemes, Quirky Borders is a powerful postcard template that gets your brand noticed. Personalize it with our free online postcard maker today! PsPrint’s online postcard design tool is the fast, easy, and free way to print custom postcards. Select your template from our design library, then choose a layout and color scheme. Next, the intuitive tool will guide you through the process of uploading, resizing, and placing your own logo and photos. Add your own text, change fonts, and adjust the layout to your liking – when you’re done, you can even generate a free shareable PDF. It’s so easy – no design skills required! PsPrint is known for our superior paper stock and high-quality printing, both must-have’s if you want to wow your customers with a professional direct-mail marketing campaign. Find out why so many other businesses consistently rely on PsPrint to deliver affordable, high-quality printing – guaranteed! Need something you don’t see here? No problem! Our custom printing team is on-hand to help you get the custom look you want for your postcards. Want to streamline the entire process? We can even help you generate a mailing list plus handle your postcard addressing and mailing. PsPrint is your one-stop postcard shop!